Since October 2014, both Ankara and Washington altered or adjusted their approaches to the battle over Kobani. Mounting pressure, including domestic anger and protests in Turkish Kurdistan against Turkey’s ruling AK Party, forced neo-Ottomanist Turkish President Erdogan and his officials to allow token support to cross the Syrian-Turkish border into Kobani. One hundred and fifty Kurdistan Regional Government (KRG) peshmerga troopers from Iraqi Kurdistan were allowed to transit through Turkish territory into Kobani on November 1, 2014. The Pentagon also started to airdrop supplies near Kobani. There are, however, catches to both gestures of support from the US and Turkish governments. Firstly, the corrupt KRG in Iraqi Kurdistan is a Turkish, US, and Israeli ally and business partner. The KRG is also a rival of the local Kurdish authorities in Kobani and hostile towards the most popular political movement in Syrian Kurdistan, the Democratic Union Party (PYD). Secondly, some of the US supplies that the Pentagon has dropped near Kobani got into the hands of the ISIL. In context of the US and Turkish goals addressed earlier, it appears that the US airdrops getting into the hands of the ISIL was intentional. Washington’s attitude towards Syrian Kurdistan or Rojava has been very different from its attitude towards the corrupt KRG in Iraqi Kurdistan or Southern Kurdistan. In August 2014, when the ISIL attacked territory under the KRG’s control in Iraqi Kurdistan, the US immediately «appeared» to come to the aid of the KRG’s peshmerga units in the battles for Zumar and Sinjar (Shingal), albeit the Iraqis and other local actors, including the Kurdistan Workers Party (PKK) and the Syrian Kurds, did most of the work fighting the ISIL, and evacuating the multi-ethnic Yezidi, Muslim, and Christian populations from these areas. Moreover, the US airstrikes utterly failed to stop the ISIL’s siege of Sinjar and many of the defending KRG peshmerga actually fled their posts when the ISIL’s forces advanced. If it was not for the PKK’s deployment, the Iraqi military would not have been able to evacuate many of the residents. The point here is that while heavy weaponry was delivered to the Kurdistan Regional Government in Iraqi Kurdistan, it has not been delivered to the Democratic Union Party in Syrian Kurdistan, which has done more to fight the ISIL than the KRG. (3) they are not working to fragment Syria or Iraq. Tensions run high between the Turkish government and the PYD. The ideological and working affiliation of the PYD to the PKK, which was aligned to Damascus in the past and has fought a bitter civil war against the Turkish military in Northern Kurdistan, has been cited as one of the reasons for the tensions between Ankara and the PYD. The reasons for the tensions, however, are not merely on account of the PYD’s affiliation to the PKK. In reality, Turkish officials do not want to see another autonomous Kurdish region on their southern border, especially a free-thinking one that is run by an inclusive grassroots movement which is unpredictable and not under Turkish influence. Turkey sees the PYD and an autonomous Rojava or Syrian Kurdistan as a potential threat to itself, because a genuinely independent and inclusive Kurdish polity could encourage Turkish Kurds to make demands for similar autonomy in Northern Kurdistan or Turkish Kurdistan. Syrian Kurdistan could also be used as a pedestal to reinforce the Kurdish struggle in Northern Kurdistan and as a base for the paramilitary wing of the PKK, the People’s Defence Force (Yekineyen Parastina Gel, HPG). Moreover, Syrian Kurds and the majority of Turkish Kurds speak the Kurmanji dialect of Kurdish, use the same Latin alphabet, and generally have closer cultural, linguistic, social, and political affinities towards each other than they do with the majority of the ethnic Kurds in Iraq and Iran. Did the KRG coordinate with the ISIL or did they have a Tacit Understanding? Albeit there was fighting between the KRG’s peshmerga forces and the ISIL, it has to also be remembered and emphasized that the ISIL and the KRG both took coordinated steps at expanding their territory inside Iraq (at the expense of the Iraqi federal government) in June 2014, respectively taking over Mosul and Kirkuk. This took place while the US refused to share any satellite images or intelligence data about the ISIL offensive entering Iraq from Syria with the Iraqi security forces or the federal government in Baghdad. In context of the August 2014 fighting between the KRG peshmerga and the ISIL, the Pentagon’s role has greatly been exaggerated to provide support for its airstrikes in Iraq and Syria. «Coming to the aid» of the KRG is language taken from the misleading narratives that want to promote Washington as an «indispensable power.» When the US came to the «aid» of the KRG, it merely demarcated the territorial boundaries inside Iraq between the KRG and the ISIL. Essentially, the US airstrikes let the ISIL know where its territory was, where the KRG’s territory was, and roughly where their borders were. Iraqi officials also reported that Israeli forces were present on the round in Iraq with the ISIL fighters when they invaded Mosul. US weapons that had disappeared from NATO-garrisoned Afghanistan also reappeared in the hands of the ISIL during their offensive of Mosul. These «missing» US arms from Afghanistan were most probably smuggled either through Turkey and/or Jordan (with lesser possibilities of Iraq and/or Lebanon) with the knowledge of the US and NATO. 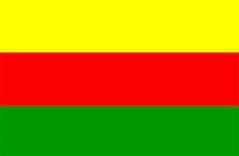 For the sake of unity inside Syrian Kurdistan and to prevent fragmentation and infighting among the Syrian Kurd community, the PYD pursued a policy of cooperation with the KRG-supported Kurdish National Council while it steadfastly refused to compromise its political platform or end its support for national dialogue inside Syria and with the government in Damascus. Albeit tensions remain between the PYD and the Kurdish National Council, the PYD agreed to form the Kurdish Supreme Committee with the Kurdish National Council, through an accord brokered in Iraqi Kurdistan by the KRG, on July 12, 2012. Under the accord, which recognizes the primacy of the PYD in Syrian Kurdistan, the seats in the Kurdish Supreme Council are equally divided between the PYD and the other Kurdish parties forming the Kurdish National Council. As part of the power sharing agreement, control over the YPG and YPJ is said to have formally been transferred to the Supreme Kurdish Council by the PYD. The YPG and YPJ, however, are nominally run by the Supreme Kurdish Council and are under the control of the PYD in practice. While the YPG and the YPJ act like a local army in Rojava, the policing and internal security forces of the Supreme Kurdish Council are the Asayish. At the same time that the PYD has worked to maintain unity among the Syrian Kurds, it has not forgotten the non-Kurds of Syrian Kurdistan or the rest of Syria. PYD leaders have worked to create a system of inclusion that works to preserve the diversity of Syrian Kurdistan and maintain a spirit of tolerance in Rojava and Syria. This is why the PYD has reached out to the Arab, Armenian, Assyrian, and Turcoman (Turkoman) communities of Syrian Kurdistan to also represent their interests and to be their movement too. YPG and YPJ troops have also worked to protect all the members of Syrian society in their areas of control, regardless of their faiths or ethnicities, from attacks by the US-backed insurgents. Many Sunni Muslim Arab Syrians have even sought refuge in the areas of Syria under PYD administration. The YPG and YPJ even have Arabs, Armenians, Assyrians, and other ethnic groups among their ranks. Plus, it was the YPG and YPJ that quickly came to the rescue and aid of the Syrian Turcoman when they were attacked by the ISIL and ironically not Turkey which never passes a chance to parade itself as the champion of the Turcoman and Turkic minorities in the Middle East and Eastern Europe. In the case of Sinjar, it was also the YPG and YPJ that entered Iraq with the PKK to help save most the residents there from being executed or enslaved by the ISIL. After the Arabs, Manipulating the Kurds: Preparing for a Kurdish Summer? The KRG on the other hand has taken a different path from the Kurds in Syria. Although the KRG preaches Iraqi unity and pays lip service to pluralism, Iraqi Kurdistan under the KRG has become a hub for a dangerous alliance of neoliberal profiteering and intolerant ultra-nationalist sentiments that have racist views towards Arabs, Turks, Turcoman, Persians, and other ethnic groups. Washington wants to use ethno-nationalism in Kurdistan as a weapon, just as it has capitalized on ultra-nationalism and anti-Russian views in Ukraine. The PYD realized this too. This is why the PYD’s strategy has been based on maintaining pluralism and peaceful coexistence between all Syrian citizens. This is yet another reason as to why the US and its allies want to defeat the PYD. 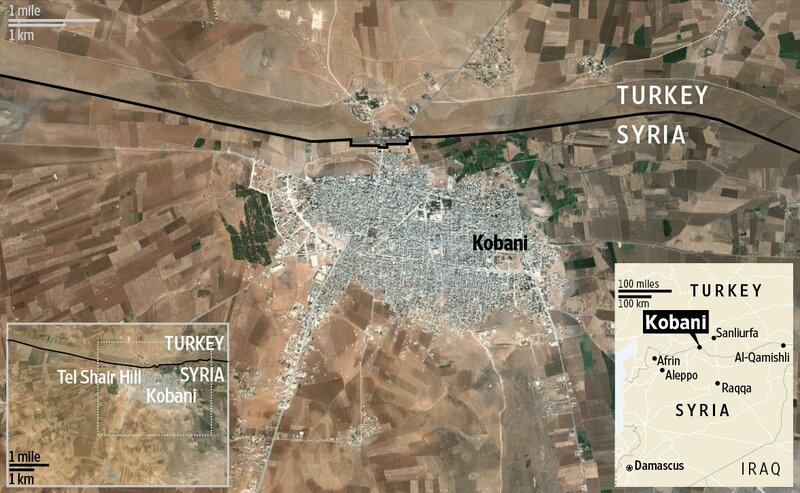 Kobani is one of the three unofficial administrative divisions of the de facto autonomous region of Syrian Kurdistan or Rojava. The other two administrative division of Syrian Kurdistan are Efrin, which corresponds to Aleppo Governorate’s northwesternmost district that goes by the same name (called Afrin in Arabic and Efrin in Kurdish), and Jazira or Cizire, which roughly corresponds to northernmost sub-districts (nawahi) of the multi-ethnic Al-Hasakah Governorate’s three northern districts (manatiq) of Al-Malikiyah (Derika Hemko in Kurdish), Al-Qamishly (Qamislo in Kurdish), and Ras Al-Ayn (Sere Kaniye in Kurdish). What sets Kobani apart from Efrin and Cizire, however, is its strategic location in north central Syria and the fact that it is the intermediate de facto district of the autonomous areas held by the YPG, PYD, and Kurdish Supreme Council. Capturing it is a step towards de-linking the Kurdish zones of autonomy. The surrender of Cizire, Kobani, and Efrin also means that almost all the northern Syrian border with Turkey will be in insurgent hands. With these Kurdish zones gone, the anti-government held border areas in the Syrian governorates of Al-Hasakah, Ar-Raqqah, Alepp, and Idlib will be united as one vast stretch of compartmentalized insurgent territory that will be fortified from the Turkish border by the US, Turkey, and their allies. Speaking to the Istanbul-based Turkish newspaper Özgür Gündem, the Group of Communities in Kurdistan (KCK) leader Sabri Ok testified that the ISIL’s fighters in Syria were merely foot soldiers in the service of the Turkish government. He explained that Ankara had actually requested the offensive on the Syrian Kurds. According to Sabri Ok, the AK Party was using its links to the ISIL to push for the elimination of the de facto autonomous Kurdish areas in Syria. What this should make clear is that the ISIL attacks on Kobani and Syrian Kurdistan seek to neutralize and marginalize the PYD. The goals of the offensive include either forcing the PYD to make concessions to Ankara and Washington or replacing the PYD by allowing those Syrian Kurds aligned to the KRG and Turkey to take control of the area under substitute administrations that would be inclined to follow US and Turkish edicts and desires. Things in Kobani, however, did not go as planned. 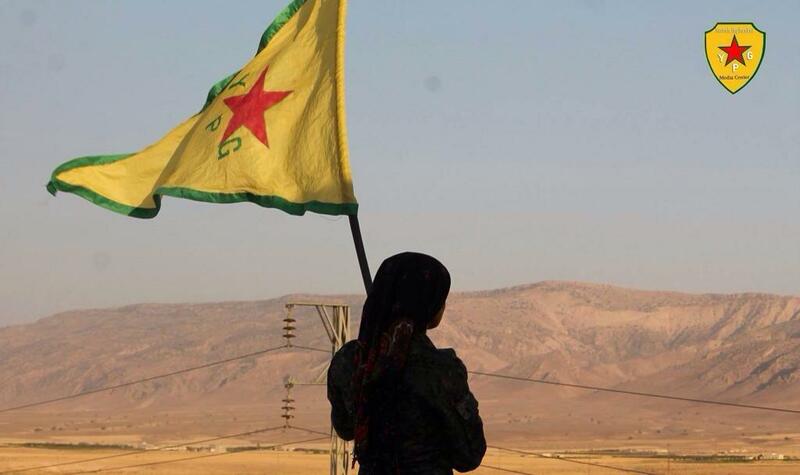 Refusing to give up, the outnumbered YPG and YPJ volunteers heroically maintained their positions against the ISIL. Two days after Erdogan said Kobani would fall, on October 9, he was forced to say that the riots in Turkey had nothing to do with Kobani. As mentioned earlier, both Erdogan and the US government faced mounting criticism and pressure to support Kobani too. This forced them to voice their support or to make gestures of support. The war on the ISIL has been presented by the US and its allies as a new war against a new enemy, but it is in fact a continuation of the war against Syria and all of Syria’s people, including the Syrian Kurds. For decades many of the Kurds wrongly thought that the US supports them. Instead Washington and players like Israel have geopolitically manipulated them time and time again. While Kurds have hoped for help from US military jets, even if they are illegally bombing Syria, they have instead found themselves being killed by US tanks and arms in the hands of the ISIL. Among many of the Syrian Kurds it is an open secret that the battle for Ayn Al-Arab or Kobani has really been about controlling the Syrian-Turkish border and forcing the Syrian Kurds to fall into line with the objectives of Ankara and Washington. The war in Rojava is a battle for control of the peripheries of Syria. If the YPG and YPJ fall or are absorbed into the insurgency, the fighting against the Syrian military will increase and the insurgents in the north will look towards the Mediterranean coast and southward towards the Syrian capital. This process could very well be described as a geographic or spatial domino effect strategy that intends to takeout the PYD and Rojava as a means of going after the Syrian government in Damascus. Aside from a geographic domino effect, there is also a social one. While it has amply been demonstrated by the Democratic Union Party that it does not want to divide Syria and that the Syrian Kurds see themselves as constituents of Syrian society, hazardous conditions have arisen in Rojava and Syria. The growing mixture of militias in Syria has the potential for widening existing cleavages. Lebanonization has clearly and unfortunately made inroads in Syria. Albeit this will not necessarily divide the country, it can lead down a path of communitarianism and federalization. The Syrian Arab Republic will surely never be the same again. Come what may, the Syrian Kurds and the inhabitants of Syrian Kurdistan have categorically stated that they do not need or want foreign intervention by the US or Turkey, but would appreciate logistical help in their battle to save their homes.